The NIHL North League Management Committee have made an announcement regarding the Laidler Conference game between Deeside v Widnes on 26th March which came to a premature end. 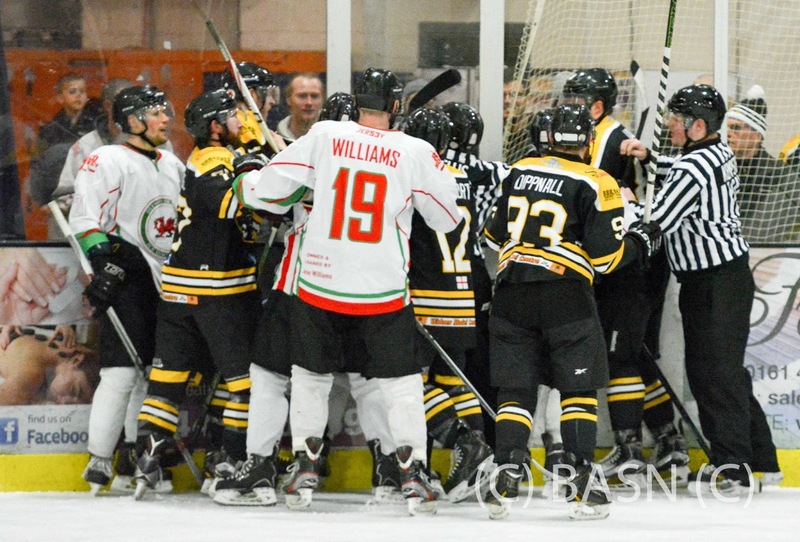 "This was an incident on the ice that has been reviewed with on-ice officials a"nd the Secretary of NIHL Discipline who was present at this match. This match had 3 experienced referees who had control of the match. The incident involving Lee Kemp and Alex Roberts was observed by the referees who were in, immediately after it occurred. A check to the head by Roberts, was a forearm to the helmet, which forced Kemp to the ice. His injury was caused by his head making contact with the ice. At this point, the Widnes Coach decided to remove his team from the competition. This action was confirmed when the referee went to the Widnes dressing room where the Widnes Coach refused to return his team to the competition. No reference was made to the Discipline Secretary, who was present at the match, nor was any League Management Committee Member contacted to request the match be suspended. The score stands. 3-1 to Deeside. The 2 + 10 misconduct penalty to Alex Roberts has been reviewed and increased to a 5+ Match for ‘Check to the Head’, and he is suspended for 3 games. The Deeside Team is warned to their future conduct. The Widnes Team is fined £500 (suspended) for removing the team from the competition and warned to their future conduct. The Widnes Coach is instructed to review the Disciplinary Document. Both Teams will have supervision reviewing matches in upcoming play-offs."